For many business owners, selling their business is a very emotional and quite often stressful time and trying to find the right buyer doesn’t make the process any easier. However, if you can identify the right type of buyer who is most interested in purchasing your business, the selling process can run much more smoothly. In general, there are three types of buyers: strategic, financial and owner operators. Each type of buyer will have their own reasons for purchasing your business. If you want to optimise your selling price, you need to know which is the most likely type of buyer for your business and focus your marketing campaign to their needs. Many strategic buyers are looking to acquire smaller businesses to expand their own offerings and footprint in the marketplace and/or to eliminate the competition. Some strategic buyers will include your business as a new division within their organisation and others will simply shut your business down. For example, a large bakery may purchase a cupcake factory to increase their product line or they may purchase a smaller bakery that is competing in the same space and fold the business. Another type of expansion for strategic buyers is to buy similar businesses in other locations around Australia and expand their offerings into this new location. For example, a hairdresser in Brisbane may purchase another salon in another suburb to expand their customer base. 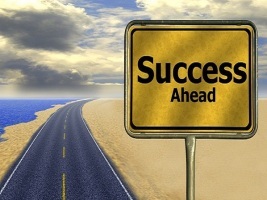 Finally, strategic buyers may purchase a second business that perfectly complements their own offerings. Combining the two businesses into one organisation eliminates any operational weaknesses in both businesses and gives the combined company more marketspace and more resources for growth and expansion than either could achieve alone. i.e. A fruit and vegetable wholesaler buying into a farm producing watermelons and strawberries. This type of buyer is usually a professional investor whose only concern is making a positive ROI on their purchase. This return may be immediate or over time, but the whole purpose of their investment is to make money. These buyers are not swayed by a better lifestyle or sea change that might come with ownership of your business, they are simply looking to make a profit, and gain a desired return in investment. All financial buyers will aggressively try to lower your selling price, so they can maximise their capital growth right at the start. Some will recognise that your business is very profitable and will buy your business with the intention of holding it, improving it and selling it in the distant future at a greater profit. Other financial buyers will believe that they can reorganise your business more rapidly, turn a greater profit quickly, and resell it sooner rather than later. These buyers usually want to be their own boss, enjoy a better lifestyle, experience a sea change and have a happy and healthy life topped off with a good income. Many owner operator buyers have never owned a business before and have no real idea of how to buy and manage a small business. They may also have limited funds and so are not able to pay top dollar for your business. These buyers however, may be encouraged by seller finance, and if you agree to stay on and help train the new owners for a significant amount of time following the sale, you can often create a very enjoyable experience for all concerned. If you understand these three types of buyers, you will not only be able to predict what they will be looking for in your business when it comes to face to face meetings and business inspections, but you will also be able to see your business from their point of view. This perspective can help you to negotiate the sale quickly and smoothly with the least amount of stress and the best possible outcome for all concerned. If you are interested in selling your business on the Sunshine Coast, download our Sellers Toolkit today. 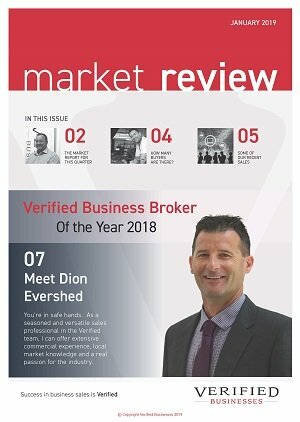 You are also most welcome to book a consultation with the friendly team at Verified Businesses – the leading Business Brokers on the Sunshine Coast.